Hello there! 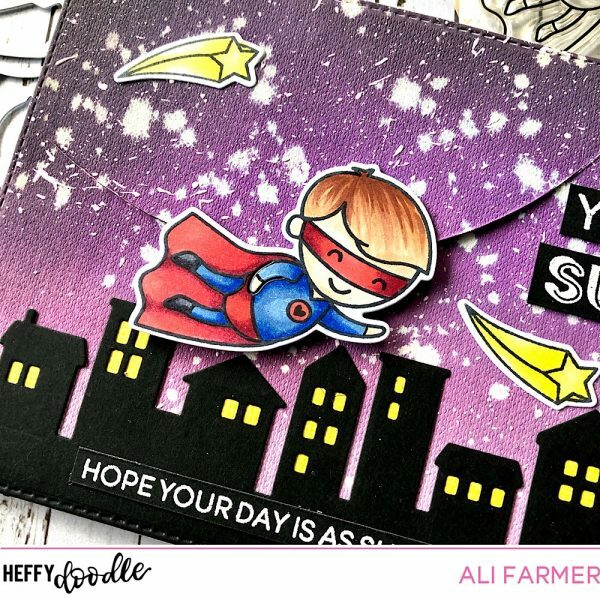 Ali here with another interactive card featuring the Super Dudes set from Heffy Doodle! The pre-orders for the New Release are open on the 1st Feb in the Heffy Doodle Shop and the release is out on Feb 11th – so exciting!! This set is perfect for an interactive card with my simple ‘flying’ mechanism. So much fun!! Details and tutorial on the Heffy Doodle Youtube Channel. Hope you enjoy the video and I will see you again next time!